I acknowledge I have turned all VPNs/proxys/other IP hiding devices off so that my payment does not get rejected automatically by G2A Pay's fraud prevention. Welcome to our OSRS gold and RS3 gold price beater - We are glad you were able to find this tool. This tool will remain available to the public 24/7 and will always be located at this domain. All you have to do to use the runescape gold beater tool is enter a sites URL or that sites abbreviation(EX-"r2p") and our tool will automatically generate you a cheaper price than our competition 100% of the time. *This tool will offer you $0.01 cheaper any other sites rates for Runescape 2007 gold and $0.005 cheaper for Runescape 3 gold. 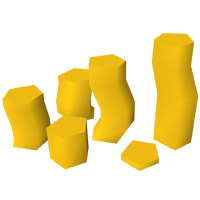 We will beat any competitors price, you can search for them here and we'll allow you to buy runescape gold from us at a cheaper rate, we aim to be the best runescape gold site on the market!